Разположен в Международно летище Индира Ганди, Holiday Inn New Delhi International Airport е перфектно място да почувствате духа на Ню Делхи и НГР и околностите. Оттук гостите имат лесен достъп до всичко, което този оживен град може да предложи. С удобното си местоположение хотелът предлага лесен достъп до всички градски забележителности, които задължително трябва да се видят. 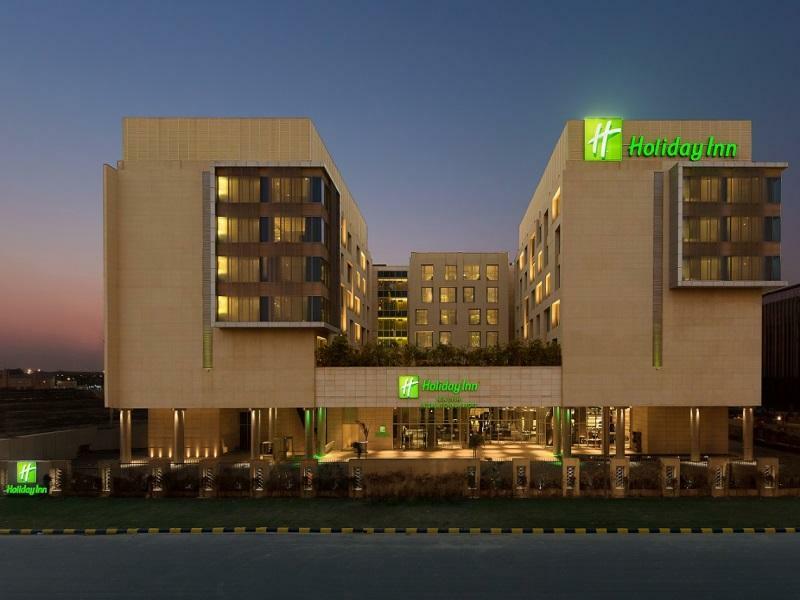 Holiday Inn New Delhi International Airport предлага безупречно обслужване и необходимите удобства, за да удовлетвори гостите си. Този хотел предлага множество удобства, за да задоволи и най-изискания вкус. Като допълнение всяка хотелска стая предлага широка гама от удобства. Много от стаите са с телевизор с плосък екран, достъп до интернет (безжичен), безжичен интернет достъп (безплатен), стаи за непушачи, климатик, за да удовлетворят и най-изискания вкус. Освен това в хотела можете да се възползвате от множество предложения за приятно прекарване на свободното време. Holiday Inn New Delhi International Airport е най-подходящото място за Вас, ако търсите качествен хотел в Ню Делхи и НГР. При настаняване гостите трябва да представят документ за самоличност със снимка. За индийските граждани това означава шофьорска книжка, карта Aadhar Card или всеки одобрен от правителство документ за самоличност. Картите PAN не са валиден документ за самоличност. Всички чуждестранни гости трябва да представят валиден паспорт и виза. Деца до 12 години се настаняват безплатно в хотела, когато споделят стаята с възрастен член на семейството. I had to stay only for six hours, during flight transfer from International domestic. The staff was friendly, room was clean, and hotel is quiet as there is not much traffic during night (Usually in city centers in India will be noisy from traffic even throught the nights) Overall satisfactory. I would like to congratulate Holiday Inn Aero for a wonderful, memorable stay for our first visit to India. The staff was exceptional, and I would like to especially mention Vikas who greeted us at the airport and then did me a big favor by hunting down my neckscarf I had left on China Eastern Airlines 2 days earlier. I know he went to alot of trouble to do that. Also, Dipesh the chef and Parmendra, the bellboy, served us a special order of tenderloin when my husband complained that it was tough and recommended a way to prepare it. He followed his instructions! You have made us feel very welcome and spoiled! Staff were very polite, courteous and helpful. Room was clean and. quite spacious. The only problem I encountered was there could be better lighting in the room. They provided me with a free transportation to the airport, which was complimentary. 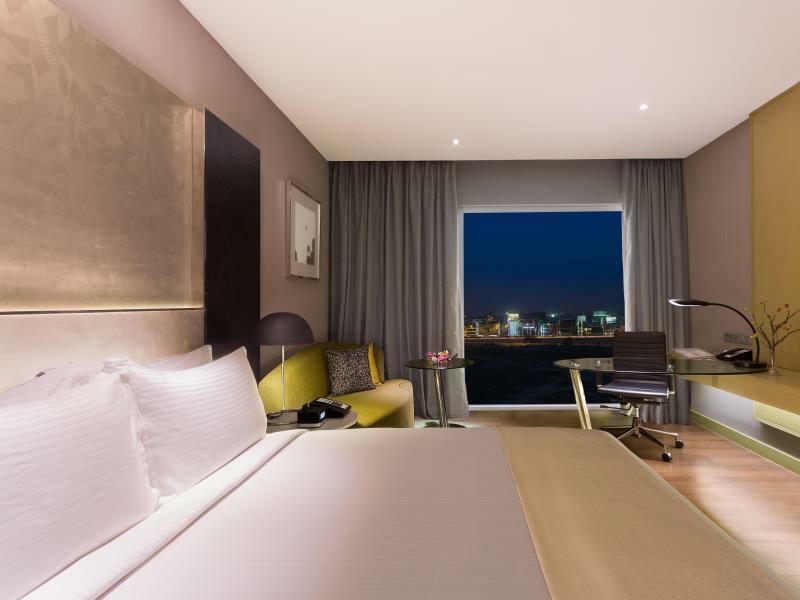 The New Delhi Airport Holiday Inn exceeded expectations. 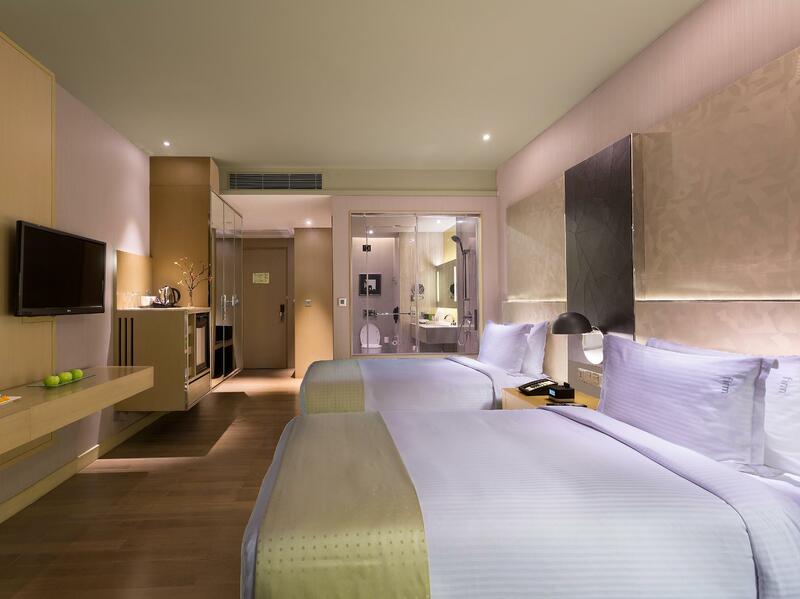 It's more of a 4+ star hotel with great amenities, beautiful rooms with good sound insulation. A big thumbs up for the fully stocked mini-fridge and snacks. The signature toiletries are generous and smell great. The best part was the buffet breakfast in the restaurant - perhaps the largest selection of breakfast items to cater to tastes from all continents. 2nd time staying at this hotel while transiting through New Delhi and will definitely come again! Thank you! Stayed here for couple of hours to take a rest before boarding my flight, it's a brand new place with modern design, the room was good and the bed comfortable so I indeed managed to get the few hours sleep I was looking for. The hotel gave a me a free ride to the airport which was apparently part of the package, it was nice to remind me as I was not aware of same, would stay here again. Had a good break from Indian spicy food as they have an excellent international cuisine. Room was big and the beds are comfortable. Location was close to the hotel. Good value for money. Will definitely stay there again. Good loctaion, clean room and bed sheet, comfortable mettress. Helpful staff, really appreciate the staff outside the door who help to contact Uber driver. Impressive by the staff in restaurant, very good service. Very good stay and choice for business trip. How do you define expensive? It is a relative term but for the facilities it is a bit more expensive than others in the vicinity with similar facilities. However by itself a good property. I have stayed 2 times but no extras were afforded to me for the loyalty. I always choose this hotel for stay near Delhi Aiprort. The airport pickup was great. They have a good system in place. Hotel was very responsive via email which I really appreciate. 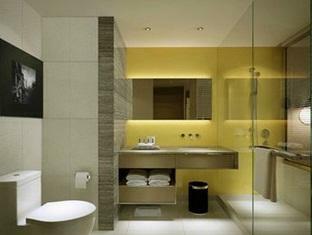 Rooms are clean, well furnished and comfortable. Access to new mall and food within walking distance. Staff very well trained and polite. Great location. Good selection of breakfast options. Excellent customer service. This is no glamorous hotel but a very practical one since it is near the airport. Very convenient pick up scedule from all terminals with car and sedan not van. The check-in, after elaborate security, is mass processing rather than service-oriented but this is necessary given the volume of customers. What was a standout is the quality of food and drink. Highest quality Indian preparation. Surprising really given that the hotel guests are “trapped” in their space and they could serve far less quality. The location was perfect and they provided our airport transfer. The lobby staff were helpful when our Uber didn't arrive. However the slight disappointment was more on a matter of principal than actual inconvenience. When we checked in, I asked the receptionist what time lunch was served. He replied 1pm. I somehow guessed that he wasn't sure and had made that up. The next day I asked someone else and he replied 12-30 to 2pm. I asked if he was sure as the day before another chap had told me different. At this point he said 'yes sure ma'm let me show you'. He then proceeded to look up some timings and it turned out that lunch was served between 12-30 and 3pm. I just don't understand, why these guys can't just say 'let me check' instead of just making something up. I clearly had to ask 3 times before being given accurate information all because the staff felt too small to say 'I don't know let me check'. A cultural shift may be all that's needed here. Otherwise, the rest was OK. The stay was short but sweet. The staff were very courteous & friendly. The security staff, Bell boys & the pick & drop vehicle driver were all very courteous. All questions were answered & the stay made comfortable.